Calling all art lovers—now is your chance to join us and become a UCCA member! 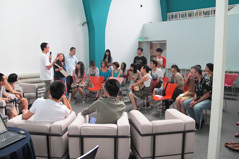 As Beijing’s leading platform for bringing new ideas and creative possibilities to the general public, UCCA offers a wide range of exhibitions and programs, as well as numerous special opportunities for members to connect with local and international artists and engage with contemporary culture on a deeper level. All income from UCCA membership supports exhibitions and public programs at the Center. 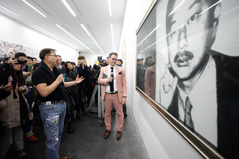 Your support is an invaluable contribution to emerging Chinese contemporary art and cultural education, appreciated by over half a million visitors every year. UCCA is rolling out an extensive new membership program for 2015. Members will now enjoy more personal and professional service, a more exciting program of art and cultural events, a special VIP lounge in the museum, a more affordable annual fee, and more convenient information services. We look forward to your continued support!